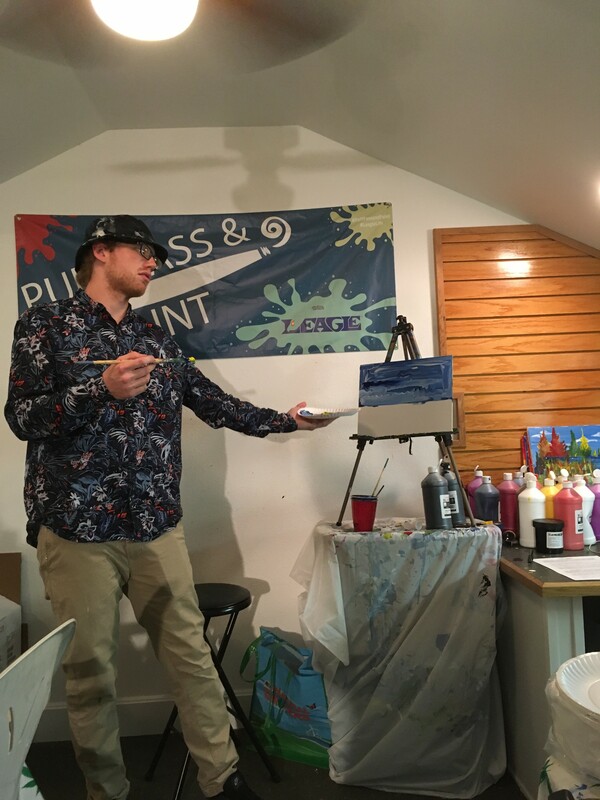 I had come to the home of Michael Eymer, a twenty minute drive out of Denver, to partake in a ‘Puff, Pass & Paint’ class. The idea was that I would join the painting class — recreating a Rocky Mountain nighttime scene in acrylics — while getting gently stoned with some fellow tourists who were making the most of the lawful marijuana in the state of Colorado. 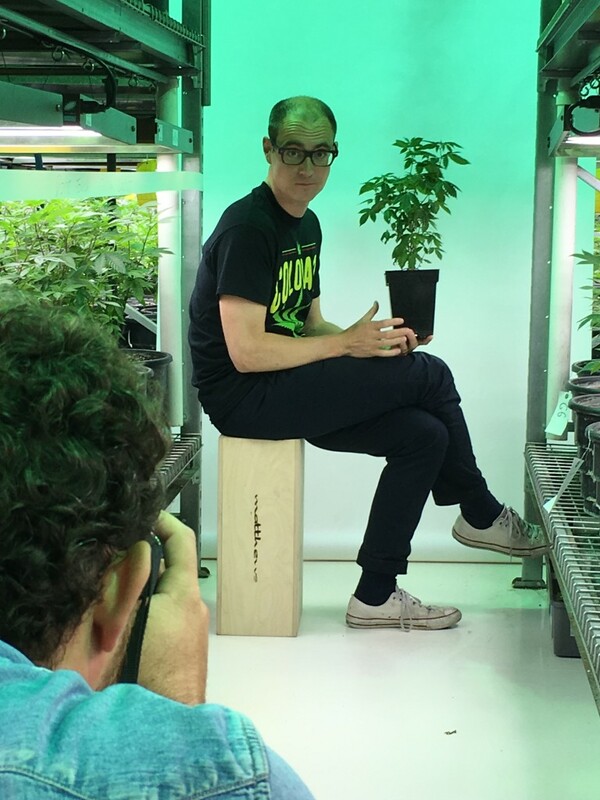 Then, I would chat to Eymer, the chief executive of Colorado Cannabis Tours, about how the legalisation of cannabis has boosted not just the tourism industry, but Denver too, one of the fastest growing cities in America. However, either my jet lag, the altitude of America’s Mile High City or the fact I am a complete lightweight meant that after just half a dozen puffs, the room started to spin violently and one of the teachers, Leslie Moffatt, escorted me into the fresh air, as the floor lurched up and down. I don’t remember much else, but my tape recorder kept running, capturing the heavy and desperate breathing of a man in the pit of despair, slumped in a deck chair. At one point Leslie comments that I’ve turned very green. Later, Michael hands me an apple. “You’ve got a real blood sugar low. Eat that,” he tells me. Eventually, I manage to lift the fruit, which to me weighs as heavy as a shot put, to my lips. The apple tastes both intensely sweet and sharp. “What sort of apple is this?” I slur in amazement. “It’s organic, man,” says Eymer. I then vomit violently all over his front yard. On November 8, five further US states will vote not just for the next leader of the free world, but for whether they want to legalise cannabis for recreational use. They include the largest of them all, California, with a population of 39 million. The state is widely expected to join Colorado in saying ‘yes’ to the right to get high. To some this is a dangerous experiment on a gargantuan scale; to others, the necessary nudge needed to tip America into becoming a fully legalised cannabis market, opening up an industry that could be worth $100 billion a year, according to financial analysts at Ackrell Capital. Colorado was the first state to vote in favour, back in 2012 and marijuana has been available to buy to anyone over the age of 21 since the start of 2014. Unlike The Netherlands, where the drug is grudgingly tolerated by the authorities, but not actually legal, in Colorado every single plant that is grown is tagged and monitored by the State, and, crucially, taxed. The market brought in $34.4 million in tax receipts for the first seven months of this year, up 45 per cent on last year. That’s more than the Colorado taxman makes from alcohol and tobacco combined. Plus, thousands of tourists each month cross state lines to smoke, chew, and ingest marijuana. There are even cannabis massages for those so inclined. I decided to join the crowds of visitors to see if the marijuana gold-rush was all it seemed, and how easy it was to get stoned. My first stop in Mile High City is the tourism office, Visit Denver — a smart building in the downtown district, where the confusing status of marijuana in Colorado is immediately made apparent. 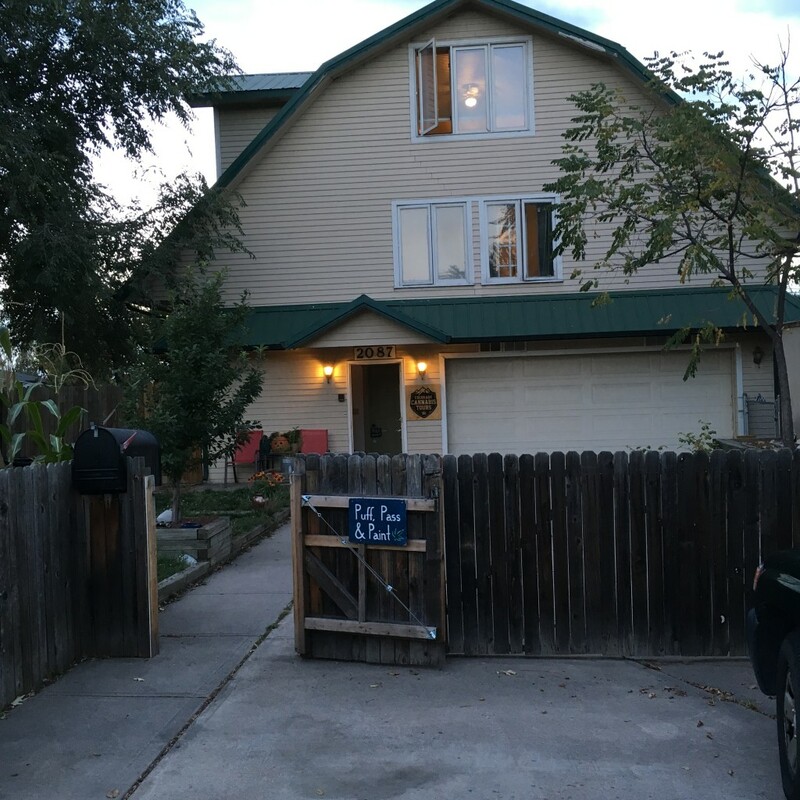 The rack of leaflets for Colorado Attractions includes ‘Discover Colorado Wine’, ‘The Redstone Meadery’, ‘Colorado Hot Springs’, steam railways and art museums. But nothing about the many cannabis tours I had heard about. I raise my eyebrows in bafflement. “Marijuana,” she explains in a stage whisper and goes to get her manager, Chrystal, who gives me a dirty look as she emerges from her office. She explains tersely that Visit Denver receives funds from the federal government; marijuana is illegal under federal law, she can’t discuss it with me. On the street I try ‘Jason’, wearing a bright yellow uniform and manning an information booth on the pedestrianised 16th Street. He is initially suspicious, but once I assure him I won’t use his real name, he warms up and tells me that about 15 tourists a day ask him where they can buy marijuana. “They’re mostly middle-aged folk, who just want to give it a try,” he says. Leafly is owned by Privateer Holdings, a private equity firm based in Seattle, which raised $75 million last year in a round of funding — proof, if needed, that marijuana is starting to become big business. Most dispensaries are cash-only businesses, with ATMs for those who don’t have enough dollars. This is another corollary of the drug being legal statewide, but banned federally. Banks are regulated at a federal level and they have to prove their cash is coming from the legal cannabis trade. The result is that many banks refuse to give business accounts to marijuana growers and sellers. Nearly all the dispensaries have a security guard posted outside. I have to show my passport to one before I can enter Good Chemistry, on Colfax Avenue, which manages to look like a chic dental clinic from the outside and a moderately cool bar on the inside. A backlit board above the counter lists all the endless different strains available, listed by category: amplify, relax, relieve, sleep. Most have silly names such as Bruce Banner or Purple Alien Dawg, both $60 a quarter of an ounce. The majority of people are buying marijuana in its pure, dried flower, state to smoke in a pipe, but there are plenty of “edibles” — sweets and cookies infused with the stuff — on offer too. The two of them had spent $60 on some cannabis candy and an 1/8th of an ounce of weed. “We got here this morning and checked in our hotel, and our rooms weren’t ready. So we said, let’s go downtown and find a dispensary,” Donny said. At the Native Roots dispensary the products are displayed under glass cabinets as if it were a pricey, but slightly naff, gift shop. 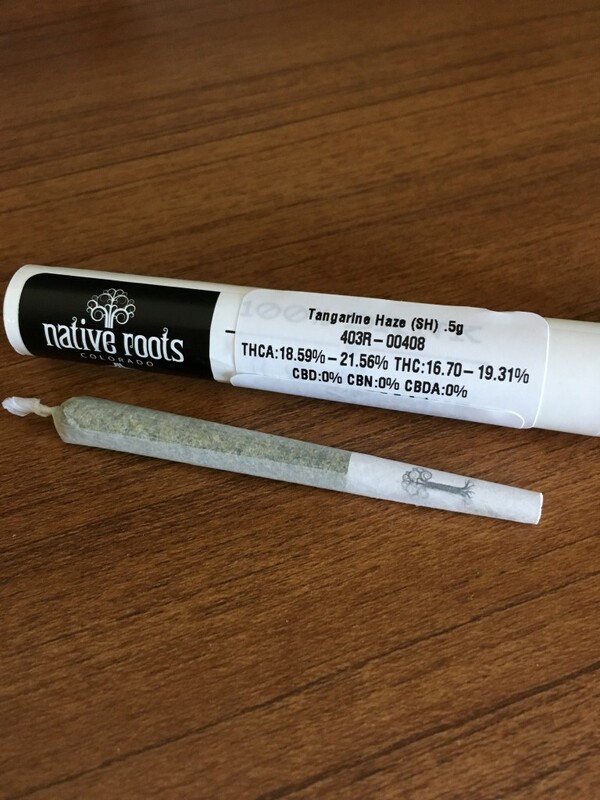 There are pre-rolled joints for $9, as well as a bewildering array of different strains. Joe, the sales assistant, tells me the most popular are the potent ones. It’s only later that I discover regular smokers’ tolerance levels are so high, they puff away on stuff that can knock me out after a few drags. I ask if the joints are mixed with tobacco, as they were when I was a student — the last time I smoked pot properly. It is a question that displays my naivety. It was good advice. I wish I had heeded it. Initially, I eat just a corner, maybe a third of the chewy sweet. But after an hour I feel nothing, so I go and buy a 10mg cookie from Good Chemistry and pop the whole thing in my mouth. Like all edibles, it has the distinct musty, almost compost, smell of marijuana, and comes in a child-proof sachet that requires fingers of steel to tear open. This cookie did the trick. An hour later I am wandering around downtown with a tongue that feels like cotton wool, desperately searching for a bar of chocolate and some espresso to wake me up before my painting class. I am properly stoned and marginally alarmed when two cops in the 7Eleven look at me suspiciously, before I remember I haven’t broken any laws. I am only just sobering up by the time I arrive at Eymer’s clapboard house with a picket fence that screams Apple Pie Americana, even down to the doormat which declares: ‘Come Back with a Warrant’. The first hour of ‘puff, pass and paint’ is rather fun, probably because I don’t do any puffing. The teacher, Chris Eldert, 26, is less Joshua Reynolds and more Shaggy from Scooby Do. He’s wearing a bucket hat and a Hawaiian shirt. “You don’t have to follow me. You’re on own your own personal journeys,” he intones. In the class there is a New Zealand couple in their 50s, who don’t want to give their names. She is a teacher. There is also Benny and Claudia Berschied, both 32, from Minnesota, who are on their honeymoon and determined to spend every minute of it wasted. Benny works at Whole Foods. “I cut up the really expensive fruit. And some of the vegetables,” he tells me. Chris, the teacher, admits he spends about $100 a month on weed and I ask him if he worries about the long-term effect on his brain. “There hasn’t been enough research done on it. So, I’m going to rely on all the anecdotal evidence that there isn’t anything wrong with how much weed I smoke, that I’m going to be okay.” We both start to laugh at the flimsiness of his position. “That’s called optimism, my friend,” he says. Not long after, I have to be escorted from the room. The next day is the main event: the cannabis bus tour. Because you can not smoke in public there are very few places you can actually consume your (legally bought) marijuana. So a number of companies have spotted a loophole: a bus counts as a residence. Colorado Cannabis Tours is the biggest of all the companies, and some people warn me it’s a bit downmarket. 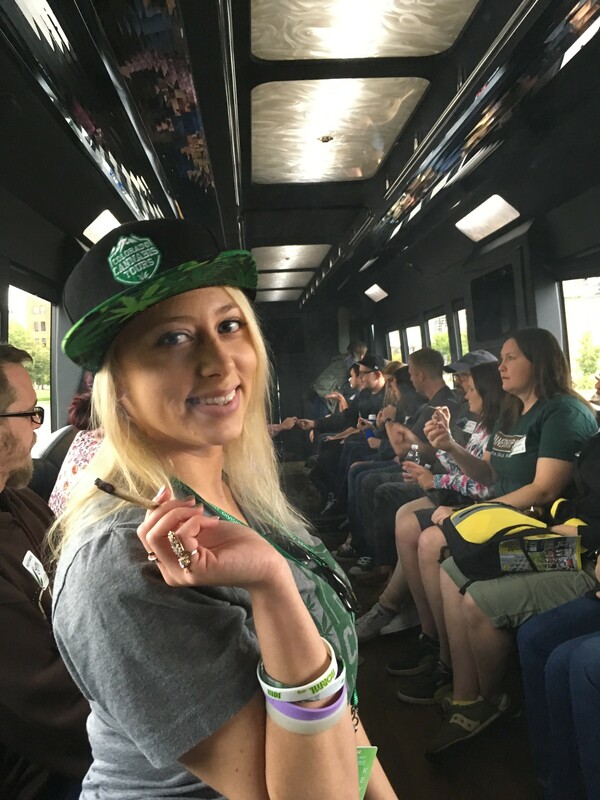 There is a rival tour called Lighthouse Cannabis Project, where about one in three of the bus tours are non-smoking — for tourists who are genuinely curious, but either do not consume cannabis, or don’t want to do it with a bunch of strangers while getting travel sick. But the crowd who gather for the Colorado Cannabis Tours $99 four-hour trip at Cheba Hut sandwich shop are mixed. Most of the people I speak to are often drug-tested at work and admit they’ll have to be clever to ensure they do not get into trouble once they are back in their home state. We sit on leather banquettes running along either side of the bus. “We’re going to have a lot of fun!” hollers Mia Jane, one of our young tour guides. We all cheer. “One thing on these tours I see is people don’t drink enough water. Remember, we are a mile above sea level so you need to keep hydrated,” she says. With that health and safety briefing over, she passes around some pre-rolled joints. The only businesses that can sell drugs are dispensaries, so no money changes hands. These are a “donation” from their sponsor, one of the main growers. Another rule, another loophole. Our first stop is Medicine Man, Denver’s biggest grower of marijuana, with an annual turnover of $18 million. Situated, on a light industrial estate, near Denver’s airport, the warehouse houses between 7,000 and 10,000 plants all growing under strong lights. Before we can inspect the growing tunnels, we have to listen to a detailed lecture on the propagation and cultivation of the cannabis plant. There’s a lot of talk about Rhizotonic, NPK ratios, and PH levels. “What you’re looking for is 5.8 to 6.2, for hydroponics it needs to be 6.2 to 6.4”, our guide tells us. It’s like the most boring episode of Gardener’s World you can imagine. We exit via the gift shop selling yet more marijuana. Back on the bus, a bong gets passed around. Up until then, I had not indulged for fear of repeating the previous night’s coma. I had memories from my student days — an era when Pulp and Radiohead were in the charts and Tony Blair promised us things could only get better — that these glass smoking contraptions were the quickest way to knock you out. But I was also aware that every other member of the tour group was halfway to becoming catatonic and I was not joining in. Luckily, before the motion sickness from the bus and the Purple Haze from the bong makes me too queasy, we stop at a glassblowing workshop, which makes bongs and glass marijuana pipes. Most of my fellow tourists are too stoned to do anything other than gawp. Next to the till there is a tray of candy and chocolate bars for those who have an attack of the munchies. 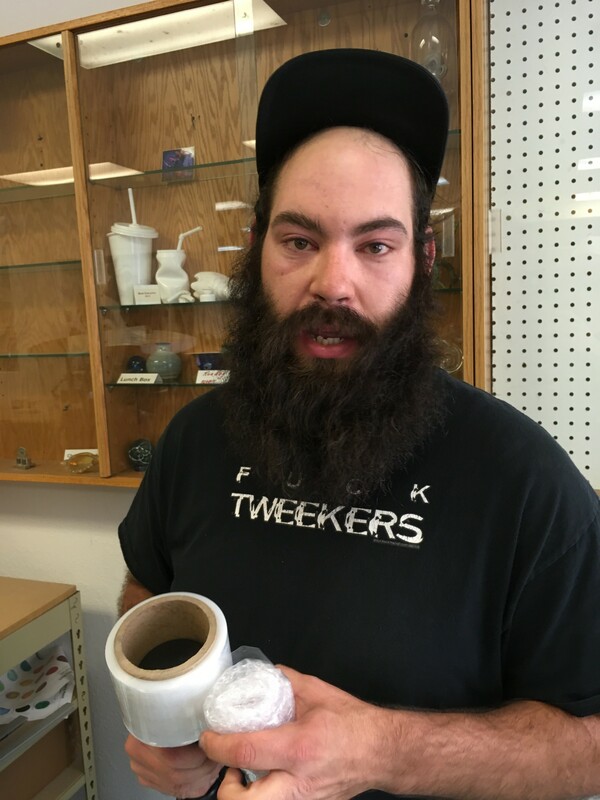 The main glassblower is a heavily bearded Tim Chavez, who has a nice line in sardonic glassblower jokes — “What’s the difference between a glassblower and a pizza? A glassblower can’t feed a family of four.” We all laugh. If California votes in favour, how much will these businesses, heavily reliant on marijuana tourists, suffer? 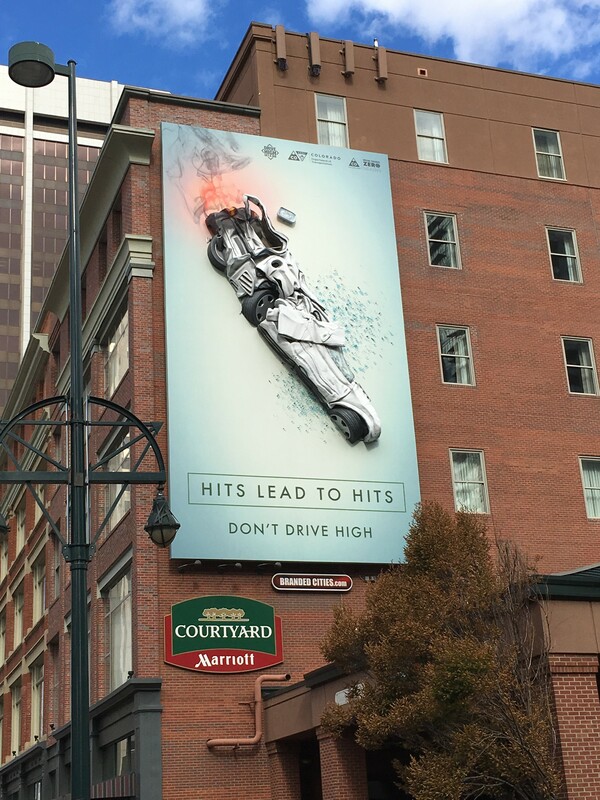 Visit Denver refuses to say how many of last year’s record 78 million visitors to the state crossed state lines to get high. They say, correctly, Denver was already enjoying an uptick in tourism before the legislation came into effect. The Lighthouse Cannabis Project, which runs the more upmarket tours, is owned by CID Entertainment, which specialises in promoting upscale hospitality and travel for concerts and music festivals such as Coachella. It also organises the VIP packages for the Peppa Pig live tour in the US. He is one of many locals who tells me about escalating rents, as people flood into the state and demand for housing outstrips supply. An estimated 3,737 homeless now live in Denver; plenty of them hanging out on 16th Street outside the Capitol Building, along the road from Good Chemistry. Activists say that’s a 10 per cent increase over the last two years. Some come for the legal highs, others just can’t afford a home. True, weed is not the only reason for sky-high rents. The River North area, full of hip bars and street art, is home to many tech start-ups and Google has opened an office just up the road in Boulder. But as with most economic booms, there is invariably a group that gets left behind. Campaigners, however, believe the winners outweigh the losers. “Opponents said legalization would hurt the economy and tourism, but that couldn’t be farther from the truth,” says Mason Tvert, from the Marijuana Policy Project, which campaigned for legalisation. He points out that 28,000 people are officially licenced to work in the State’s cannabis industry — all new jobs. For me, I just need a lie down. Harry Wallop is a consumer journalist, feature writer, columnist and broadcaster. 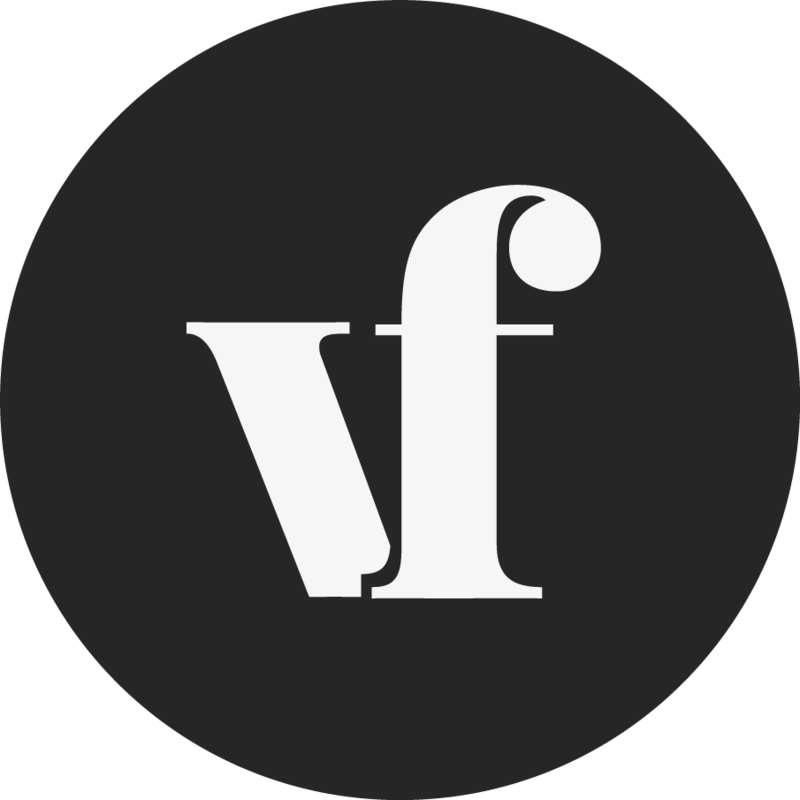 He writes for a variety of national newspapers and magazines, including the Times, Daily Mail, Guardian, Financial Times and Tatler. Harry’s most recent book ‘Consumed: How We Buy Class in Modern Britain’ is available for purchase here.